Norway’s Oil Fund, its biggest bank and around 1,000 wealthy citizens are all showing up in documents leaked from a law firm specializing in tax havens, and from 19 registers of companies in places known as havens of secrecy. It’s not illegal to stash funds in tax havens, but the documents dubbed as the “Paradise Papers” raise questions of tax and liability avoidance that some claim can threaten Norway’s social welfare state. 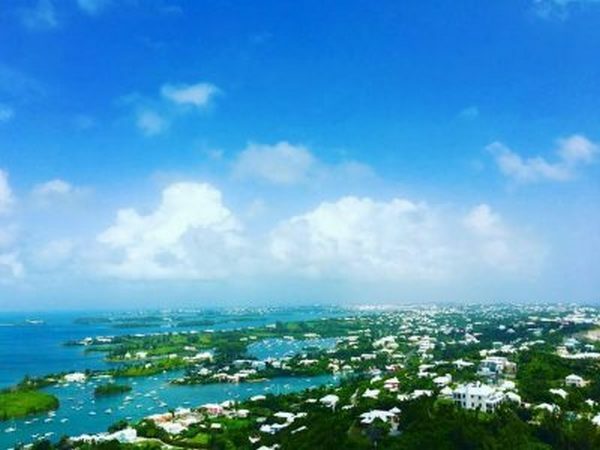 Bermuda figures heavily into the latest round of revelations about tax havens and those using them. There is nothing illegal about stashing money abroad, as long as it’s declared on tax returns. “The key words here are tax morals and equal treatment under the law,” wrote Espen Egil Hansen, editor in chief of newspaper Aftenposten, on Monday. Aftenposten is among media outlets working with German newspaper Süddeutsche Zeitung and the International Consortium of Investigative Journalists (ICIJ) to go through documents leaked from the company registers and Bermuda-based law firm Appleby, billed as one of the world’s largest providers of “offshore” legal services. Appleby itself reports that it advises “global public and private companies, financial institutions and high net worth individuals” on “practical solutions” for the placement of their wealth. 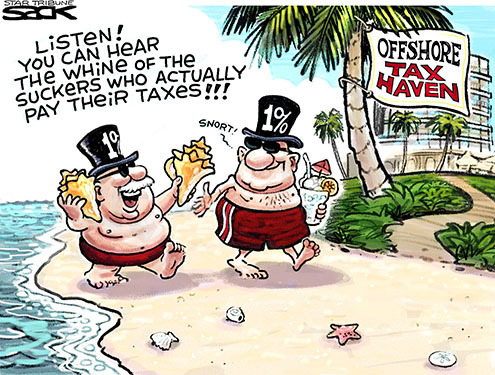 That often involves “offshore” low-tax locations, with the firm listing offices in tax havens such as the British Virgin Islands, the Cayman Islands, Guernsey, the Isle of Man, Jersey, Mauritius and the Seychelles. It’s not illegal to place funds in such places, as long as the holdings are declared to tax authorities where those placing the money are based. Problems can arise when that’s not done, and a lack of official reporting combined with intricate company structures or trusts can make it difficult to trace wealth that’s not declared and thus not taxed. Appleby itself issued a statement, published by The Guardian (external link) over the weekend, that there is “no evidence of wrongdoing, either on the part of ourselves or our clients” contained in allegations tied to the documents. Hansen of Aftenposten noted how the reports being released this week from the “Paradise Papers” describe the enormous scope of companies and wealthy individuals that have been placing wealth abroad in low-tax countries. That’s fueling debate over whether it will be possible to maintain the social welfare state in a country like Norway when so many individuals and businesses avoid income- and fortune tax alike, legally or not. “Will ordinary wage earners continue to take on a steadily larger share of the tax burden when portions of the business world move their capital to tax havens?” Hansen queried. He also questioned whether “ordinary” Norwegian companies that don’t use tax havens will be able to compete against those that do. That’s why Aftenposten has spent months participating in the “Paradise Papers” project, admitting at the outset that its use of leaked documents (which Appleby claims were obtained through illegal hacking) raises ethical concerns as well. “We don’t know the identities of the source of the leaks and therefore not the entire motive,” Hansen wrote. “For us, it’s important to stress that no one has paid for the material.” He said neither Aftenposten, the ICIJ nor other media outlets involved will reveal how the material was delivered. No specific names of the reported 1,000 Norwegians found in the documents were initially revealed on Monday, but they were described as including several of Norway’s wealthiest individuals, in addition to lawyers, high-profile business leaders and lesser-known company owners and investors. Most have roles as either owner or board members of companies registered in tax havens. A third of the Norwegians whose names emerged in the leaked documents are tied to international companies within the shipping and offshore industries. Aftenposten reported that in several cases, both the people and the companies are already known to have based operations in places like Bermuda or the Cayman Islands, noting that there’s nothing illegal about that. , DNB, was reported to have “several hundred customers that operate in tax havens,” many of them in Bermuda. DNB also figured heavily in ICIJ’s earlier project called the “Panama Papers” that stirred up a storm in Norway. DNB had to later apologize for helping wealthy customers set up accounts in the Seychelles. Norway’s Oil Fund, meanwhile, was reported to have a large and questionable investment in Glencore, the world’s largest producers and traders of raw commodities. Glencore, founded by the late pardoned tax fugitive Marc Rich, is based in Switzerland, registered in Jersey and proved to be one of the Oil Fund’s most profitable investments last year. Aftenposten, however, reports that the Oil Fund’s 3 percent stake in Glencore is raising questions because of corruption allegations swirling around the company’s dealings in the Democratic Republic of Congo and with Israeli businessman Dan Gertler, who’s a close friend of Congo President Joseph Kabila. Glencore and Gertler both owned stakes in a Congolese copper mine that was merging with another company in Congo. Glencore agreed to lend Gertler the equivalent of nearly NOK 300 million if he managed to negotiate more favourable tax terms for a merged mining firm in Congo and complain about a large “signing bonus” claim from the state. It was reduced but still left Glencore paying the equivalent of NOK 790 million (nearly USD 100 million at current exchange rates) while Gertler used the loan proceeds from Glencore to secure a large ownership stake in the merged mining company called Katanga. Glencore, meanwhile, is one of Appleby’s largest clients. Both Glencore’s and Gertler’s lawyers have claimed the loan was made on commercial terms at “arm’s length.” Elisabeth Caesens of the Carter Center, who is familiar with the mining industry in Congo based on her work with the human rights organization, told Aftenposten that Glencore and Gertler also had a special agreement with the authorities in Congo that gave them a large discount on mined copper. Caesens claims Glencore “overlooked the many red flags” that Gertler’s contract and the history of doing business in Congo should have raised. Oil Fund spokeswoman Marthe Skaar said fund officials “are aware of these serious allegations” against Glencore and “have taken them up with the company.” She said Oil Fund officials have had several meetings with various representatives of Glencore and asked for more explanation of the company’s anti-corruption efforts. Skaar said the Oil Fund’s own inquiries are “typical of the information that’s relevant” for the Oil Fund’s “dialogue” with its own state-appointed ethics council. Moxnes told Norwegian Broadcasting (NRK) Monday morning that he wasn’t surprised by the reports involving the Oil Fund, “because it’s one of the world’s largest funds. It invests in companies around the world and we have had many revelations earlier, about (investments in) weapons production, child labour and other shady activities.” He called on Finance Minister Siv Jensen, who’s ultimately responsible for the Oil Fund, to account for what evaluations are made in connection with the purchase of Glencore shares. HUMAN SYNTHESIS email: humansynthesis0@gmail.com The Swedish Model of self-destruction by Wes Penre, Dec 22, 1998 Wes Penre: Sweden has for a long time been known abroad as the “Swedish model” ("